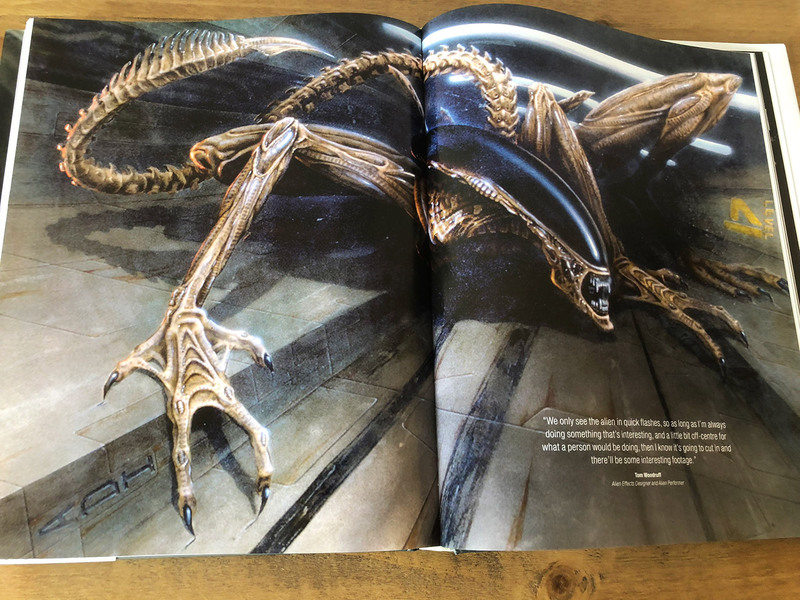 Alien the Archive: The Ultimate Guide to the Classic Movies is a large format hardback movie art book from Titan Books. 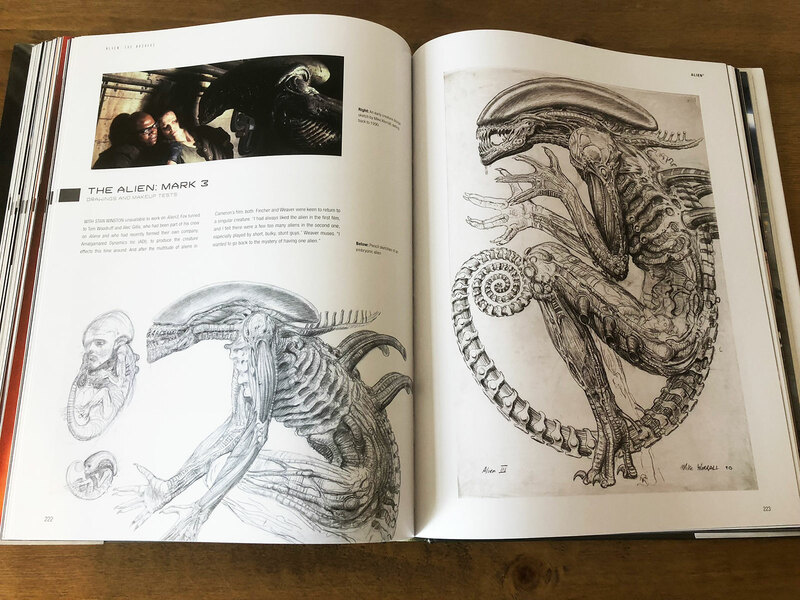 It really is a lovely looking book, packed full of concept art, illustrations, diagrams, photographs and storyboards from the Alien movie franchise. 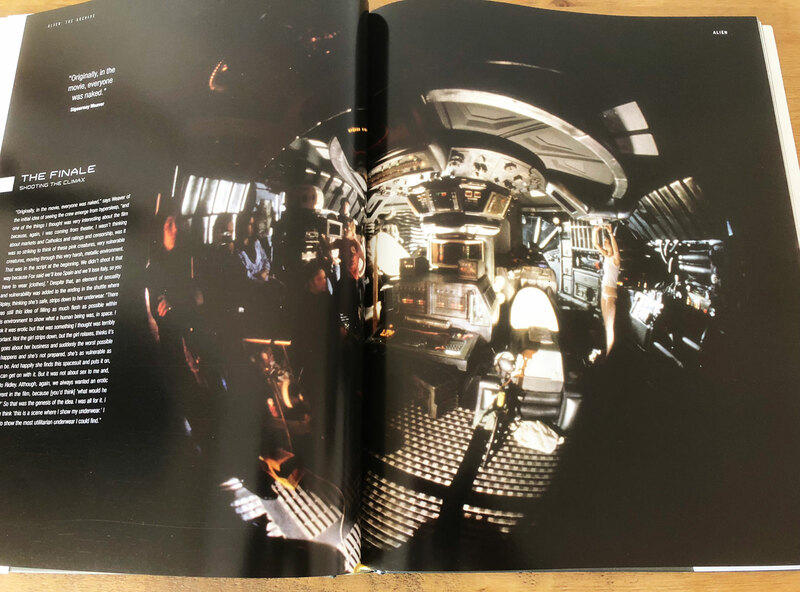 This book has over 320 pages covering the first 4 Alien movies from Ridley Scott’s horror masterpiece Alien, James Cameron’s Aliens, David Fincher’s prison based Alien3, and Jean-Pierre Jeunet’s dark and twisted Alien Resurrection. The movies are all well covered here with rare pictures and great promotional shots from each of the Alien films. There’s also lots of behind the scenes stories about the writing and production giving a great insight into the creation of each film. The book also features brand new interviews with Ridley Scott, Sigourney Weaver, H.R. Giger, Jean-Pierre Jeunet and Jenette Goldstein. 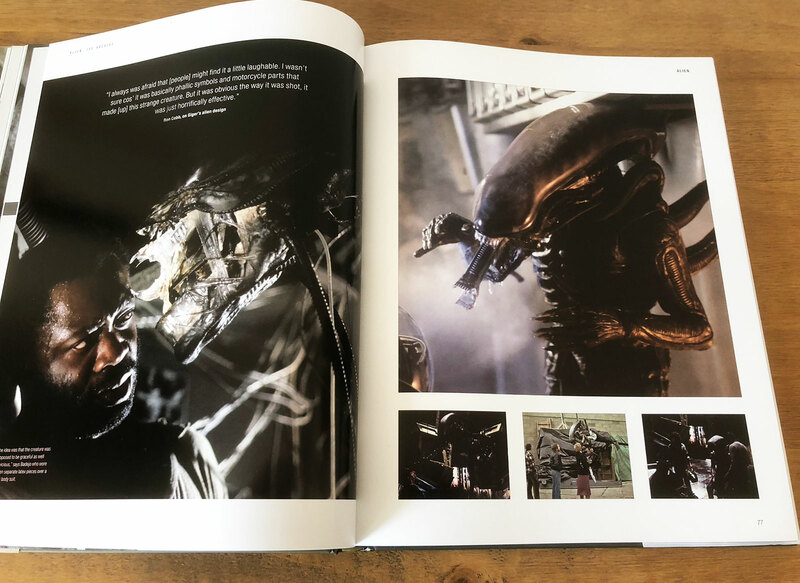 If you want to delve deep into the classic Alien movies this book is full of exclusive detail, from early storyboards, script ideas, concept designs from Ron Cobb and Syd Mead. 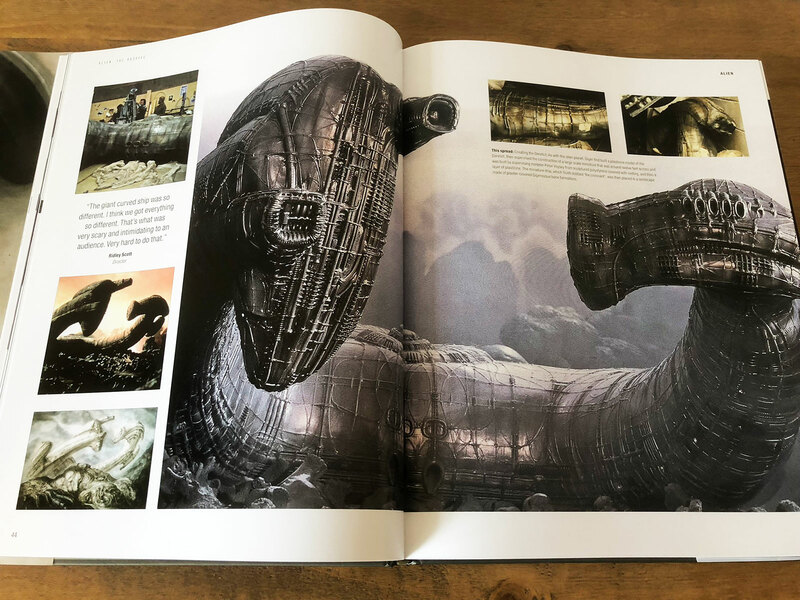 This ‘must have’ retrospective has got to be in every Alien, concept artist and science fiction fan’s collection as it’s a truly beautiful book. 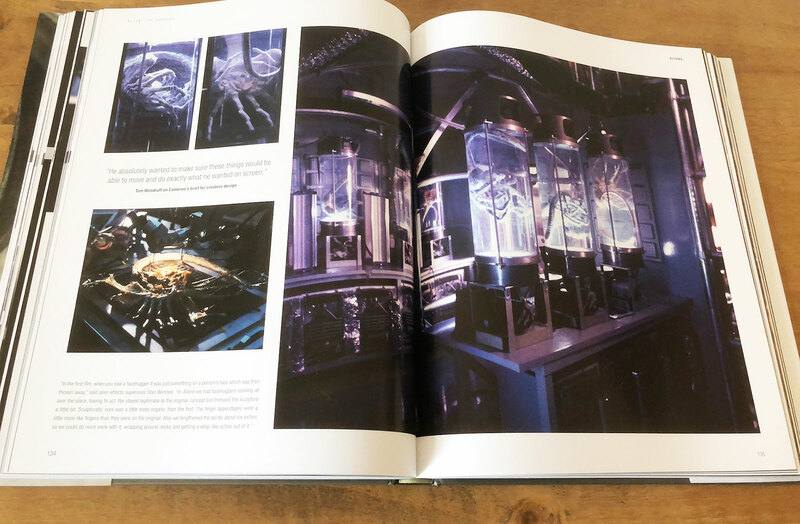 Please check out our video feature of the Alien movie art book below which gives you a closer look inside. 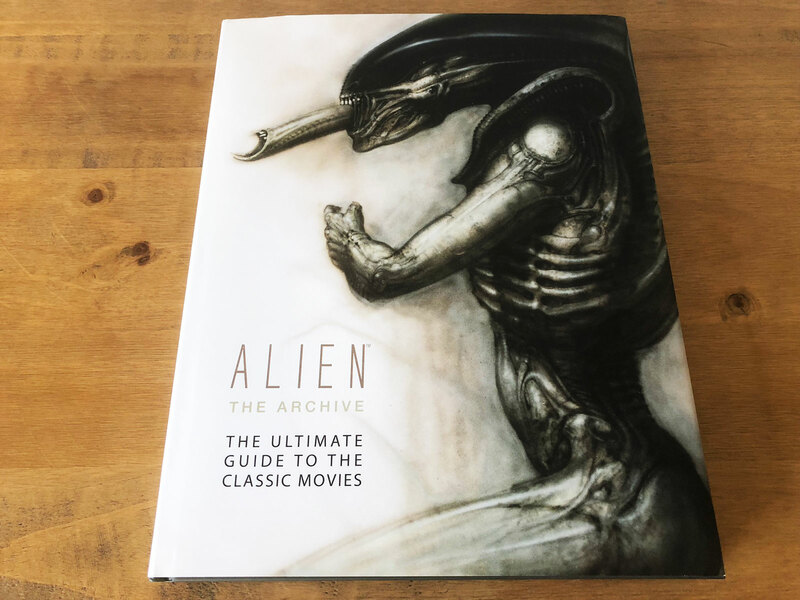 For more information about the book and to grab yourself a copy follow these links – Alien the Archive: The Ultimate Guide to the Classic Movies on Amazon UK and Amazon.com.